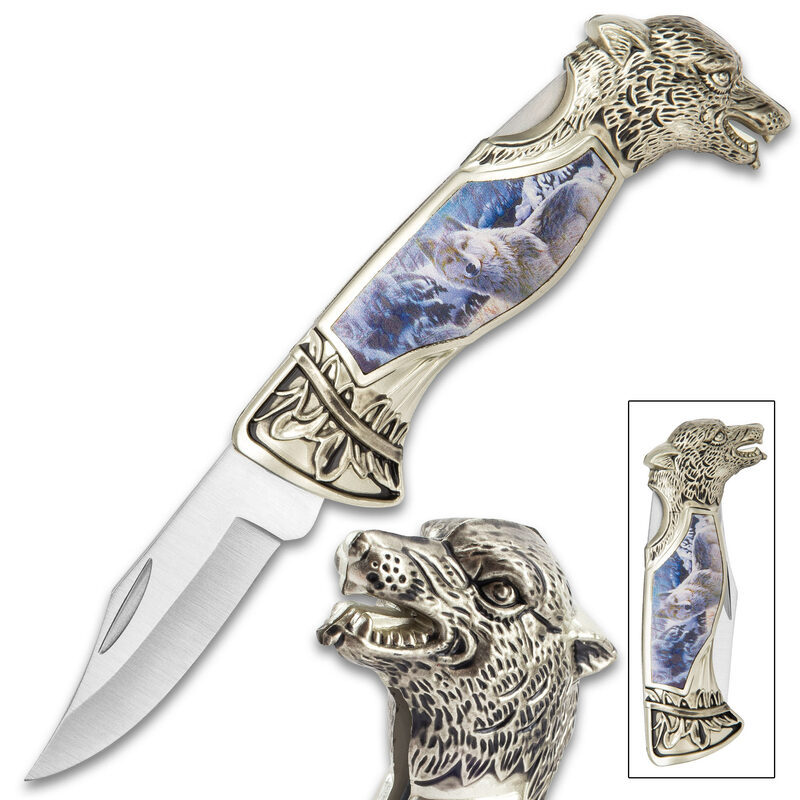 Winter Wolf Pocket Knife - 3Cr13 Stainless Steel, Sculpted Cast Metal And TPU Handle, Colorful Artwork, Liner Lock - Closed 5” | BUDK.com - Knives & Swords At The Lowest Prices! 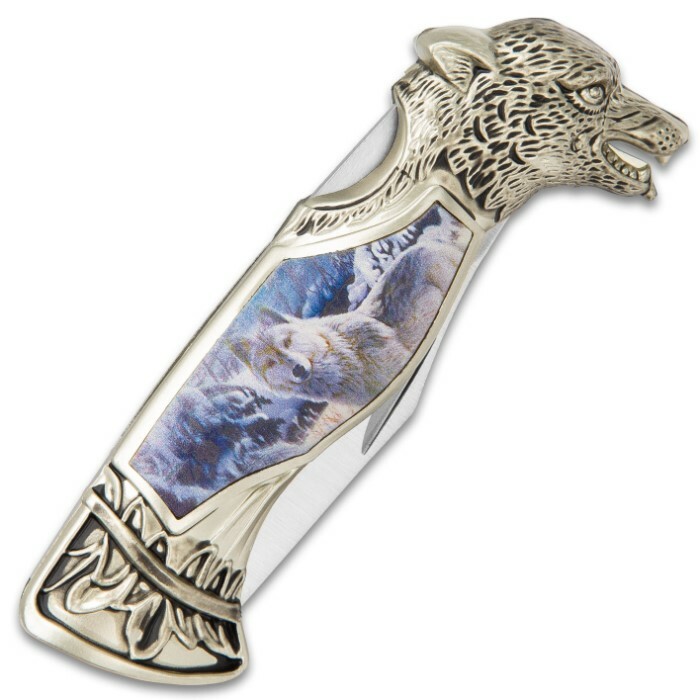 If you’re looking for a gorgeous addition to your “everything wolf” collection, then you cannot pass up the Winter Wolf Pocket Knife. 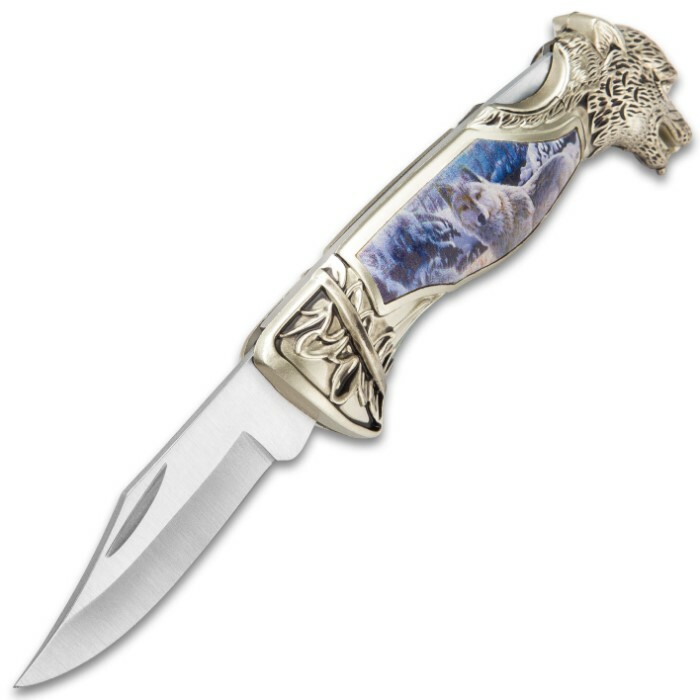 The liner lock pocket knife has a keenly sharp, 3 1/4” 3Cr13 stainless steel blade with a nail nick for ease of opening. The sculpted, cast metal and TPU handle is intricately designed with a wolf head pommel and a colorful wolf in winter scene. 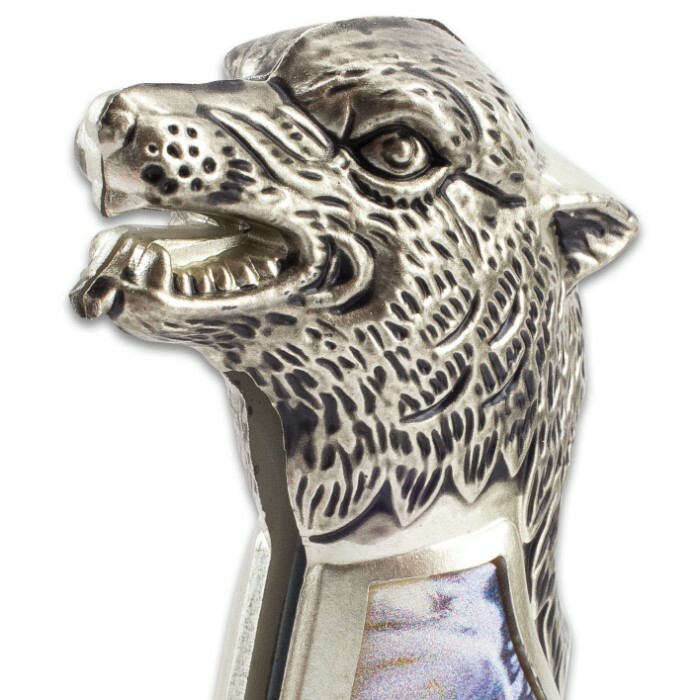 The Winter Wolf also makes an attractive gift for someone special, who loves “everything wolf”.